Before you even start writing, know what you want the drums to sound like. Listen to your song and come up with an idea of how the drums should flow and sound. Where they should be quiet and soft, where they should be loud and powerful, whether the drums should be tight or big and full. Knowing all this before you even start writing is going to be a big plus and will help guide you in programming your drums. Next choose your drum kit accordingly. If you’re going for a big, full sound, you will want a kit that can achieve that sound. You may want to choose larger toms or a kit that has a quality that creates more boomy, full sounds like a maple drum kit. I use Superior Drummer. 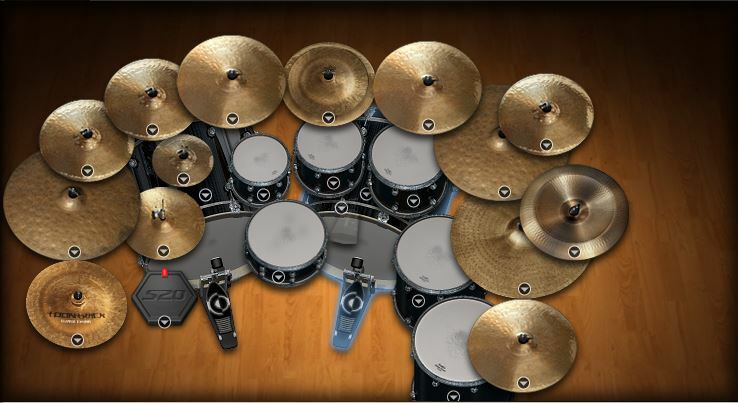 And in Superior Drummer you have access to multiple kits and pieces. Especially if you purchase additional expansions. Two that I use, Metal Foundry and The Rock Warehouse, provide me with the kind of kits that are appropriate for the kind of music I write. I write a lot of rock and metal music so right off the bat these kits make sense. They may not fit for the sound you’re going for. So make sure to choose the right kit. Listen to each piece: the snare, kick drum, cymbals, toms, etc. Each expansion typically has more than one kit in which you can mix and match pieces. So one by one, listen to each piece and decide which one you like the best and you will fit the sound you’re going for. This is just like recording a real drum set. 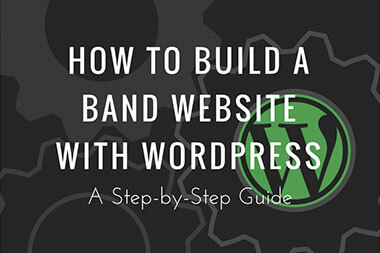 The drummer and recording engineer would work together to choose a kit and the pieces that fit the song and the sound they are trying to achieve. Next “set up” the drum kit. This goes in line right with what you’re doing in the previous step. As you’re picking and choosing the pieces that you want to use, you’ll want to keep the drummer in mind. 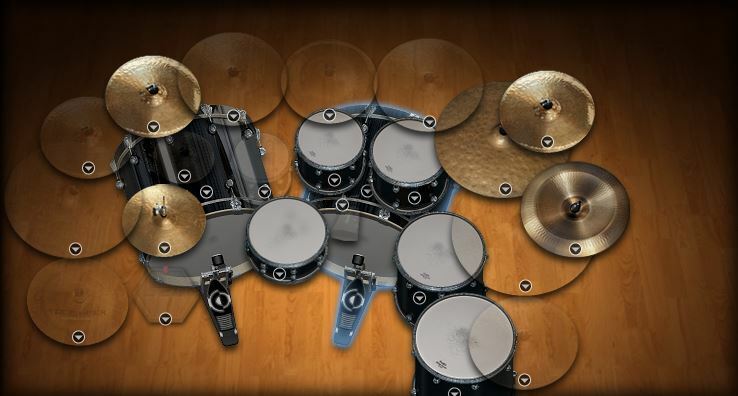 In the Metal Foundry expansion for Superior Drummer, you have the ability to have 2 kick drums, 5 toms, hi hats, and about 13 cymbals all loaded and set up at the time. Does that mean I should load all of those pieces up and try to use them in my song? No. Think about what a drummer would actually use in your song if you had a real drummer. Some drummers may actually use a setup like that but it’s rare and for my music not appropriate. So leave them out the equation. Only use the pieces that you need to use and that a real drummer would actually use. Don’t choose too many pieces. Choose the appropriate set up. Now this may vary from person to person. Some people will draw in the notes on the computer for the drums, some play them on a keyboards, other may use some kind of MPC pads to play ways the drums. I use the Akai MPD 26 for all my drum programming. I like to actually try to play out the beat. 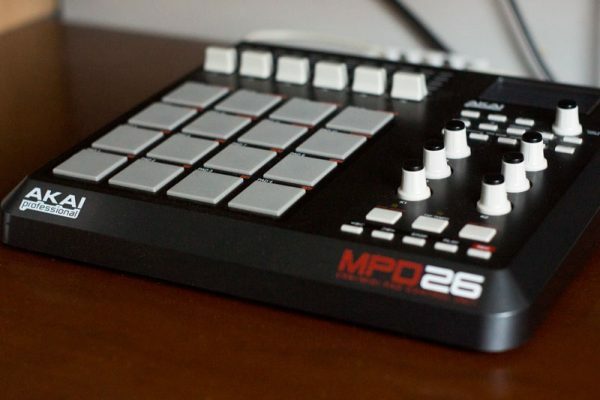 Using the MPD 26 makes it easy to play the beat out on the pads. I’ll start by playing the kick drum and snare at the same time on the pads and gradually add in the other pieces. Please, please, please remember to record to a click (metronome). Every DAW has one. Make sure you turn it on before you start recording. 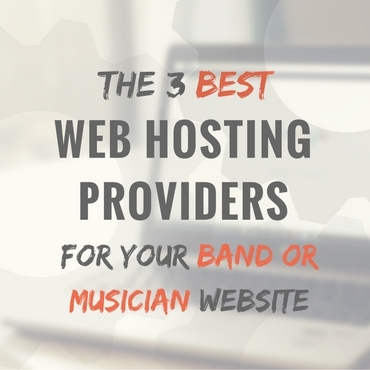 Just like a regular drummer in any studio would, they would record to a click. This is going to ensure everything is on beat and going to save you a lot of time when it comes to editing. Don’t try to get too crazy with your drum parts. 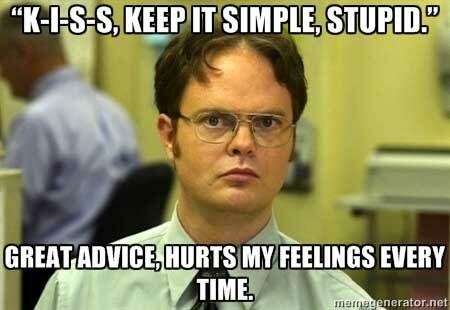 Here’s a nice little motto to remember: Keep It Simple Stupid (KISS). Remember to keep your drum parts simple. You wan’t them to compliment the other instruments not take away from the other melodies with over the top drum playing. As you’re writing make sure to keep your playing consistent. Nothing drives me more crazy than drummers who are all over the place with their drum parts. Don’t play the hi hat for a few beats, then switch over to the ride, then back to the hi hat. Unless it’s part of a fill, make sure what you’re playing sounds right and is not all over the place. This also true of playing generally the same drum parts in each verse and each chorus. Keep it consistent. Record your drum parts in steps. What do I mean by this? I mean start with a few pieces and add in the other pieces as necessary. I use MPC pads to write my drums parts, so what I like to do is start off with the kick and snare drum. Typically I can play those on the pads at the same time. They’re also the most vital pieces of the drum kit so it’s a good place to start. I will play around until I find a beat that matches the song rhythm and what I’m going for. 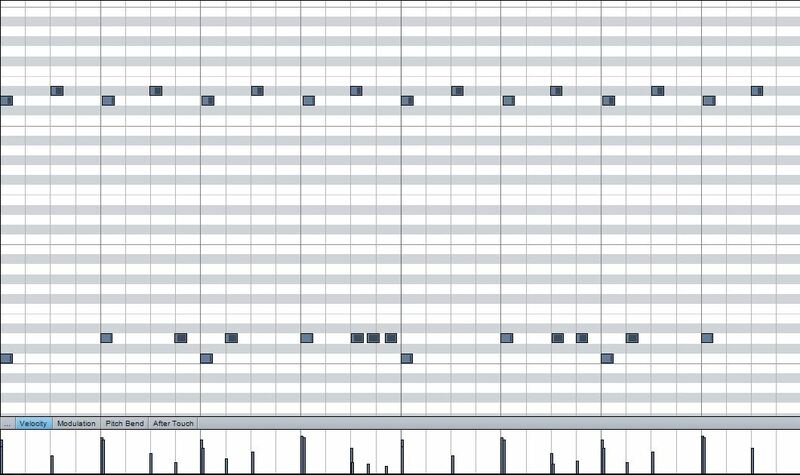 Then once that’s laid down I can add in cymbals, and then from there add in drum fills, recording each part in a separate run through. 9. Can a Real Drummer Actually Play This? One tip that you will hear a lot when trying to program is to actually learn how to play drums. And I will agree it does help tremendously. I play drums and as I have improved so have the drum beats that I program. Knowing what a drummer can actually play and when helps to write realistic drum parts. So keep a drummer in mind and think about whether the beat you’re writing is actually playable. Break your song into sections. First write the drums for the verses, then the choruses, and then the bridge. You’re typically going to have the drums play the same beat in the first verse as in the second, the same drums for each chorus, etc. So break the song up, write each each section, then copy over, and edit if need be for fills. Once you’re “done” writing your drums, don’t just stop there. Continue to write, rewrite, and refine. What I mean by this is listen to the song over and over. Do the drums sound right? Do they fit? Are you happy with every part, every hit, every fill? Really listen and be critical. You want it to sound as best as it can. So continue to refine the drums until you’re absolutely sure that it’s what you want. When I’ve got everything written the way I want that’s when I move on to quantizing. What I like to do is first quantize and then humanize the beat. These are both options in many DAWs. I like to do this process twice. I just think it makes the drums sound tight but yet just ever so slightly off like a really good drummer would play. It may be over excessive but I believe it helps to write more realistic drums. You could either do this before quantizing or after (or whenever you like really :)) but I like to save it for later in the process. Basically what you want to do is adjust the velocity so that not every drum hit is exactly the same. Using the humanize function in many DAWS will adjust the velocity slightly for each hit. But sometimes this may not be enough. Say you have a snare build up, you’ll want the velocity to start off quiet and build up into a few explosive hits. So this is where I will draw in the velocity curve to add that type of dynamic. If you’re recording in a program like Superior Drummer, the default setup is a dry kit with no reverb added. 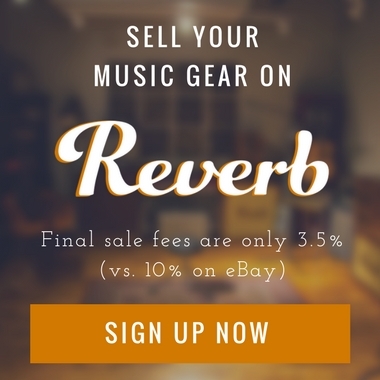 So you will want to add some reverb to liven the kit up a bit. You can do this before you start writing if you feel having that effect will help you to write better parts or you can add it at the end to fit the rest of the song. There you have, 14 Tips for Programming Realistic Drums. I hope these tips are helpful in programming your own drum beats and you can continue to improve your writing. Let me know in the comments below what you think. Is there anything I missed? Or share some tips and tricks you use to get more realistic sounding drums from programming. Great tips, I assume a lot of them are useful. Since I’m a session drummer myself and I do a lot of remote recording work for home recoridists and the like, I don’t program drums that much. But a lot of times I get demos sent to me of the song I’m helping out with, and the most common problem with the drum part is that it’s all over the place and sounds like the drummer has 8 arms or something. So a lot of time my job is to simplify the drum part and play something that compliments the song. What makes the difference between a professional (no matter the instrument actually) and a amateur is that the pro knows how little to play. A pro know when enough is enough. But yet again, great tips in this article.